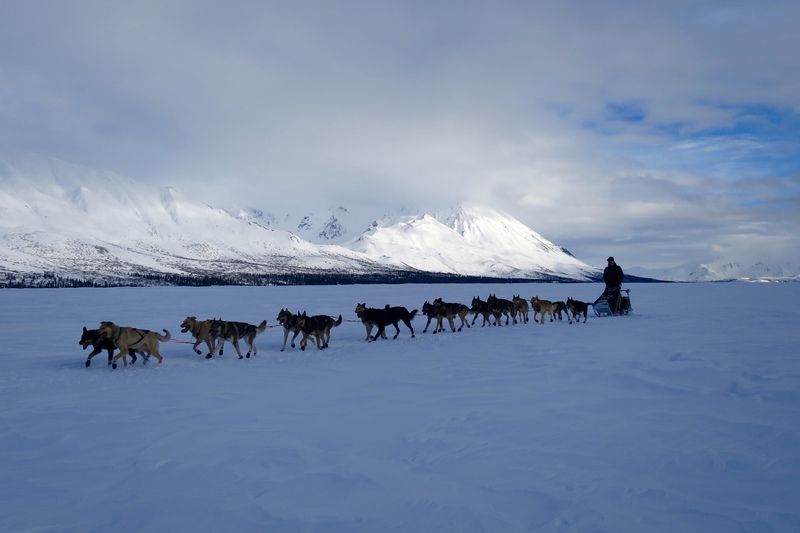 When I first met Woodsen I had a list of goals for things to do in Alaska before I turned 30; visit Cordova, hike the Chilkoot trail, run the Klondike, and make it to Nome for the Iditarod finish, were just a few. 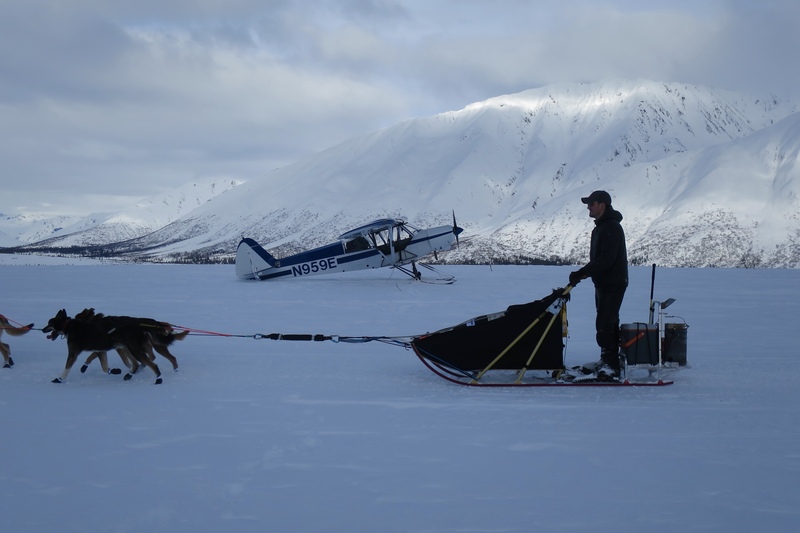 Of course, all these goals were made without a supercub in mind so when I mentioned Nome & the Iditarod finish to Woodsen his immediate reply was “well we shouldn’t just go to Nome for the finish, we should fly the trail from Anchorage all the way to Nome”. Sigh… the words of my dream man. I don’t think he realized it, but this statement solidified him as my dream man and pretty much meant I had to marry him ;). 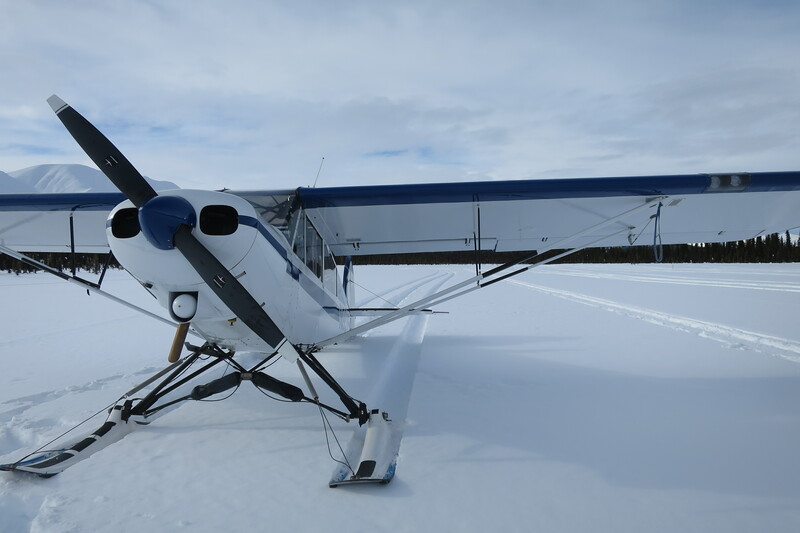 This year I was 8 months pregnant for the start, so flying all the way to Nome over nine days was pretty much out of the question, we decided to make a few day trips out of it instead. 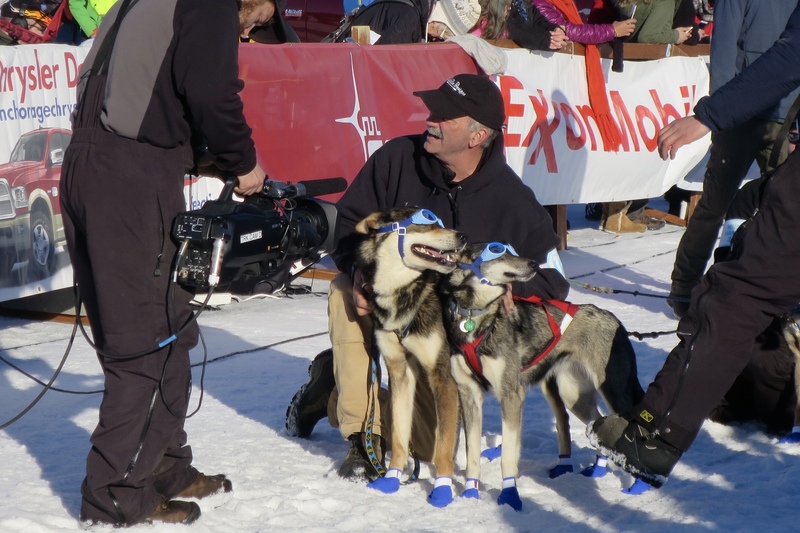 Very cool dogs posing for the camera. 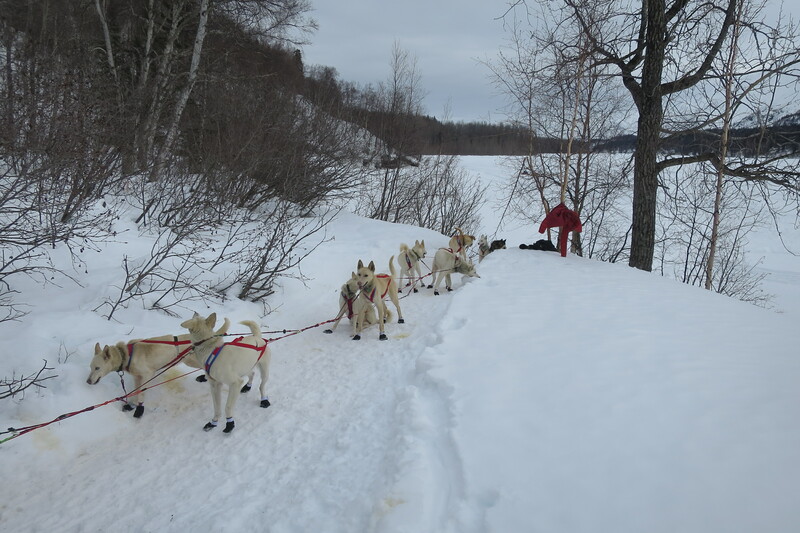 We didn’t stay at the start long, both of us were excited to get out and start finding our favorite mushers along the trail. 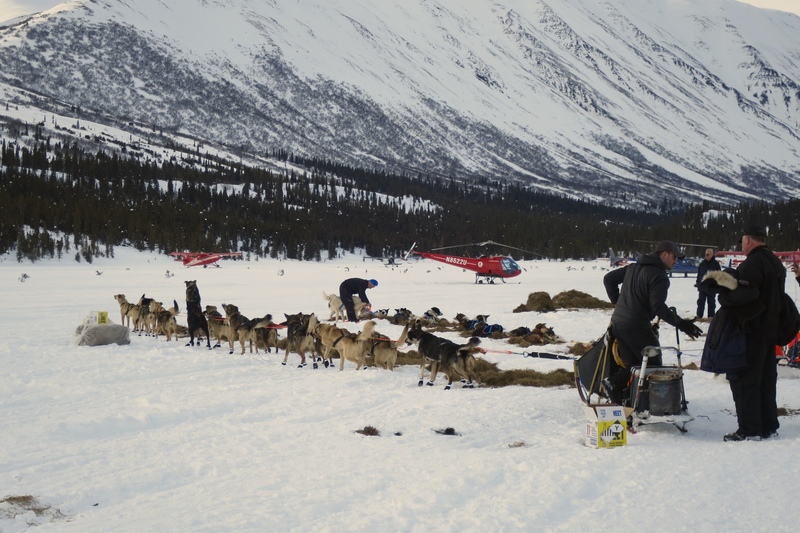 Here is Deedee and her dogs. 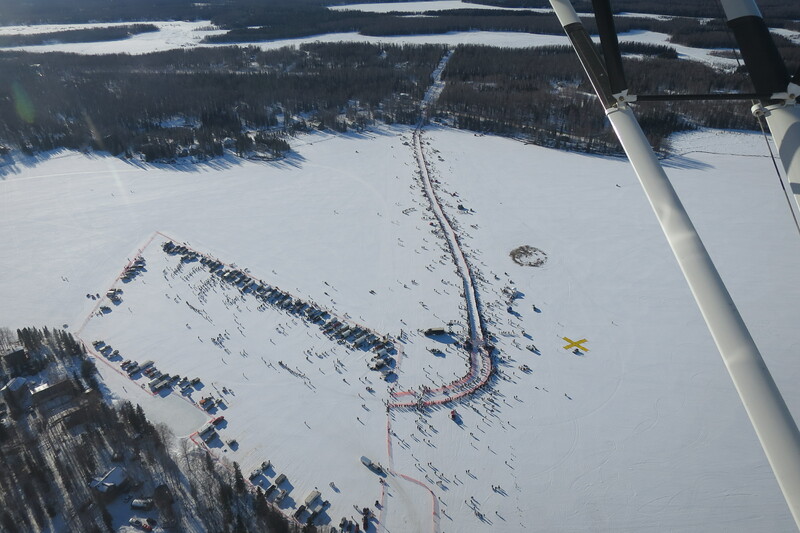 We love flying low and trying to look at bib numbers to find our favorite mushers. 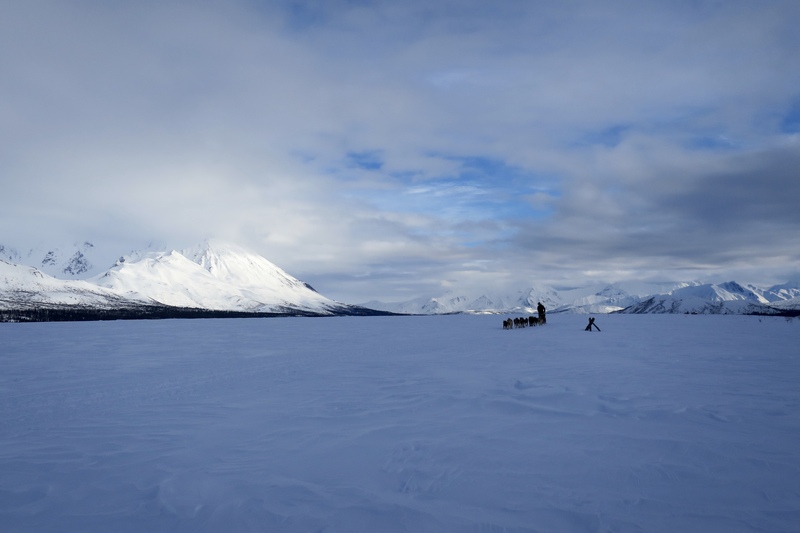 We came upon Richie Deal first, he grew up in Aniak and spent time in Bethel. 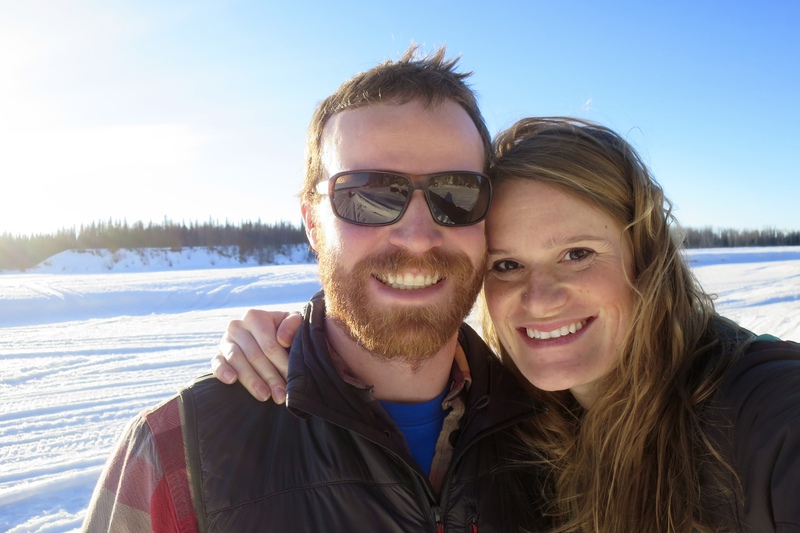 I met him while we both were attending school in Anchorage at UAA. Go Richie! After scouting out where he was we landed to watch him pass. Further up the River we found this bluff and waited around for a bit. 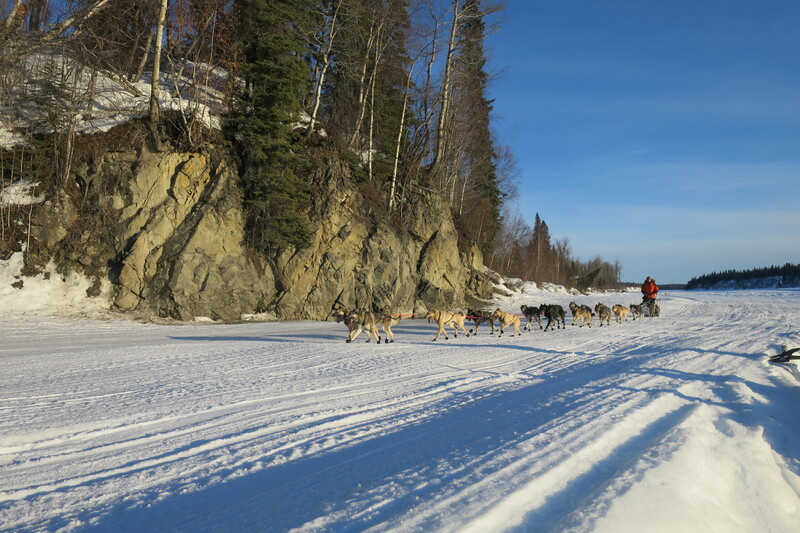 Here is Pete Kaiser, another Bethel favorite, rounding the corner. We graduated high school the same year. 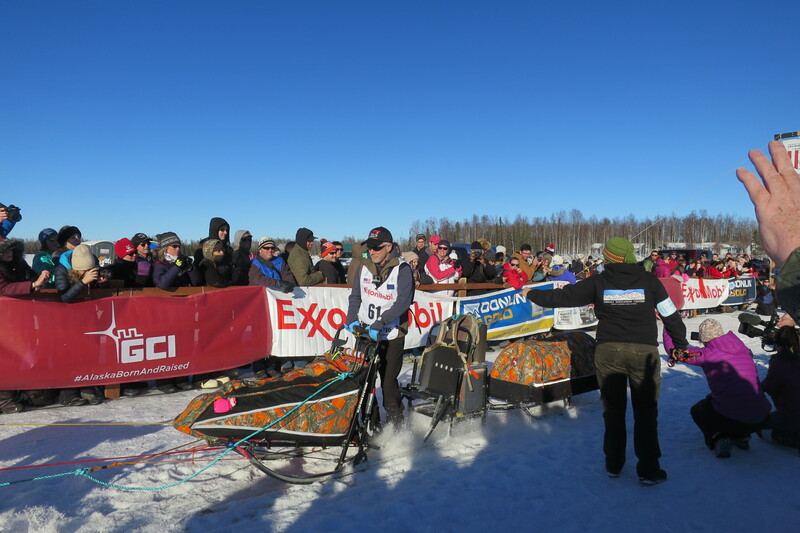 Lisbet Norris rocking her musher fashion. Next, we landed on the Happy River and climbed up this little hill to see how the teams would handle it. Some of the teams weren’t phased by it at all, others had a hard time. Like this team. Stuck half way up. 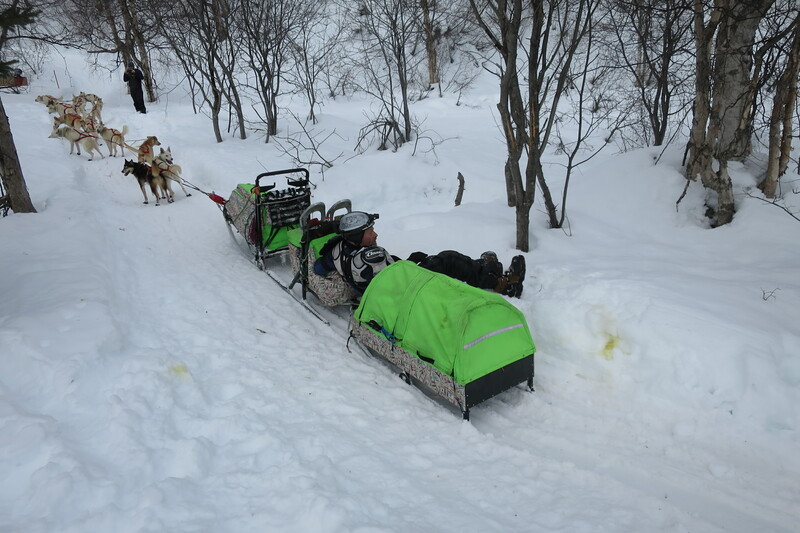 The poor musher ended up getting dragged up the hill by his dogs. 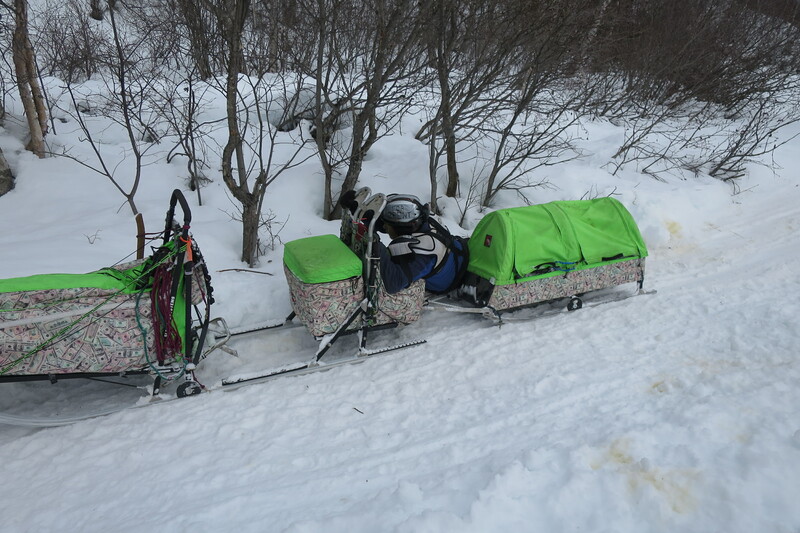 It was horrible and you aren’t supposed to help mushers along the trail so all I could do was say “are you o.k?”. Thankfully he was. 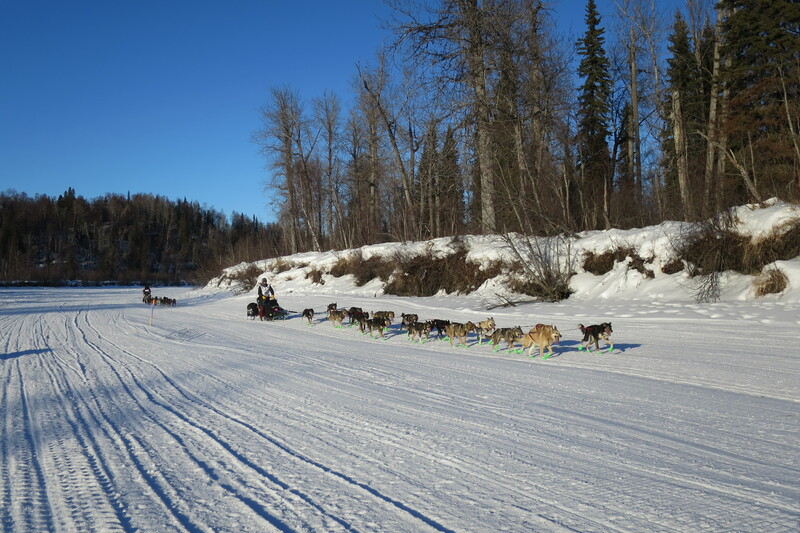 After a couple more stops to cheer on mushers we headed to Puntilla Lake home of the Rainy Pass Lodge. Here is Martin Buser caring for his team. Pete Kaiser hitting the road. 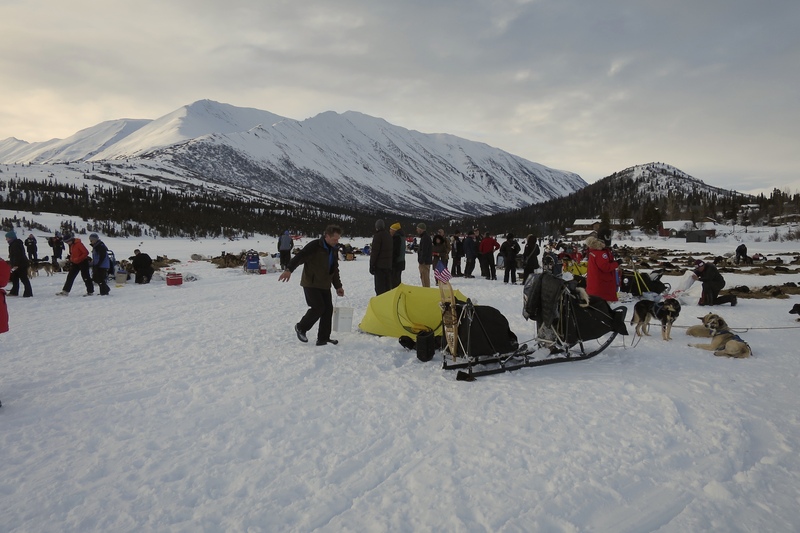 Heading out of Puntilla Lake toward Rainy pass we found a great spot to land and wait for a group of mushers we saw. Probably my favorite spot for the day. 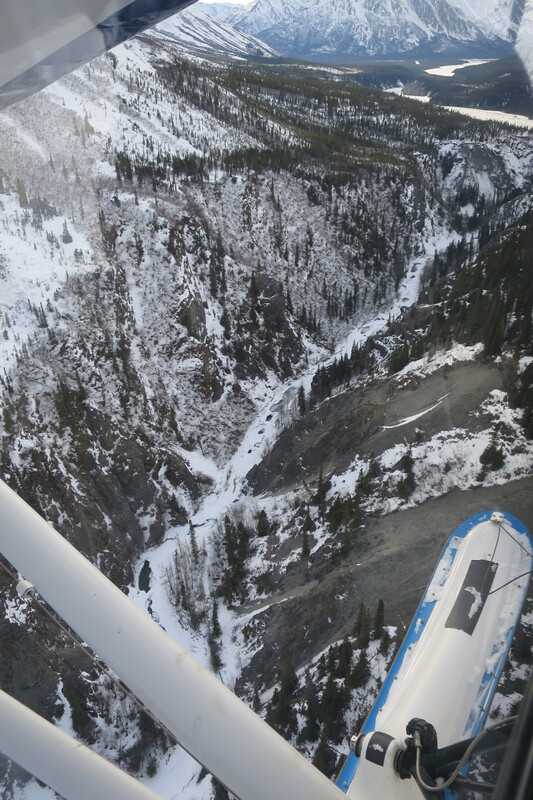 Flying over the Dalzell Gorge after making it through Rainy Pass. We flew around over the gorge debating whether or not we should head over to Rohn. 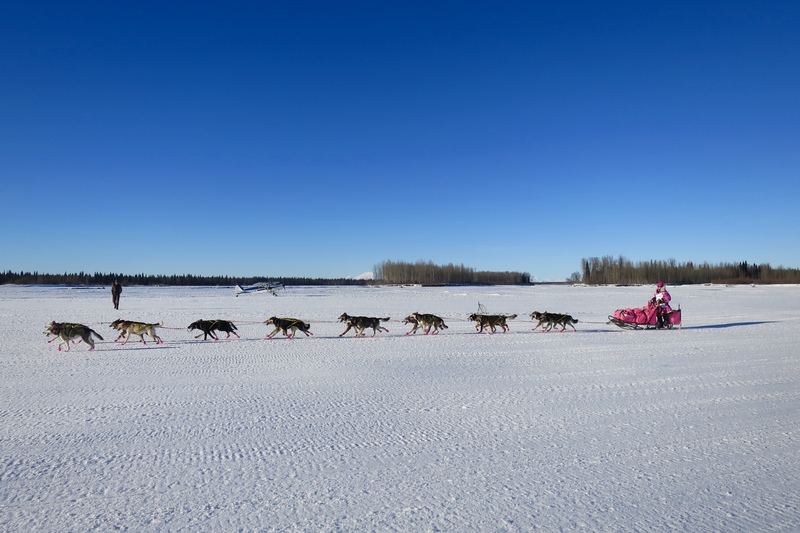 We were on our way back to town, but at the last minute, we decided to head back and see if we could find our friends from Ultima Thule who fly the Iditarod every year. 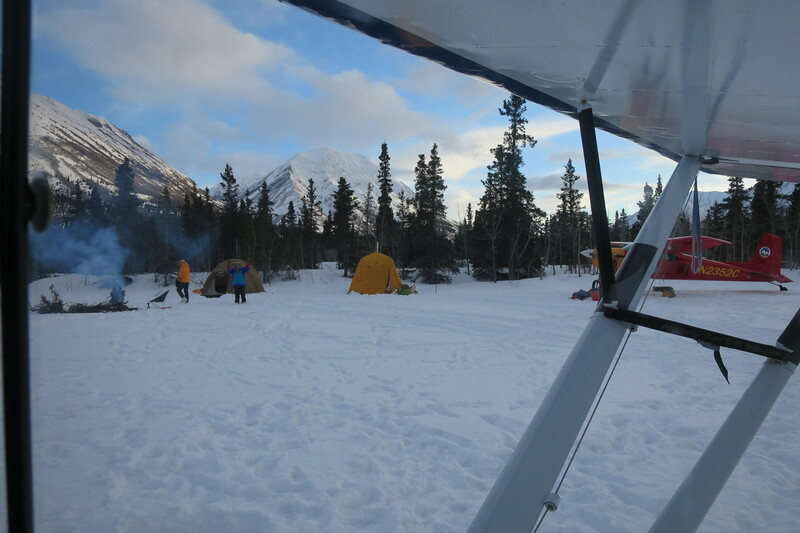 Thankful we did because just 5 minutes after turning around we spotted their camp and the red and yellow plane just before Rohn. 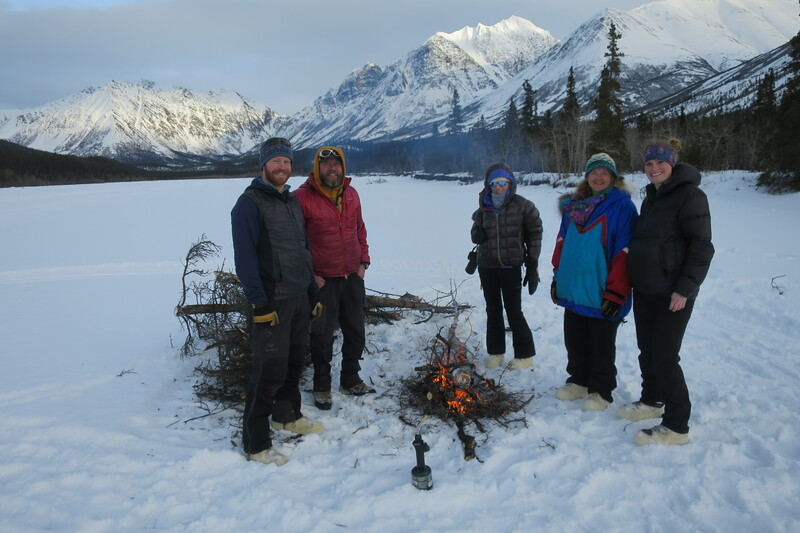 We ended the day with a warm fire and good company. Donna thought it would be great if had the baby in Rohn, considering there had probably never been a baby born there before. 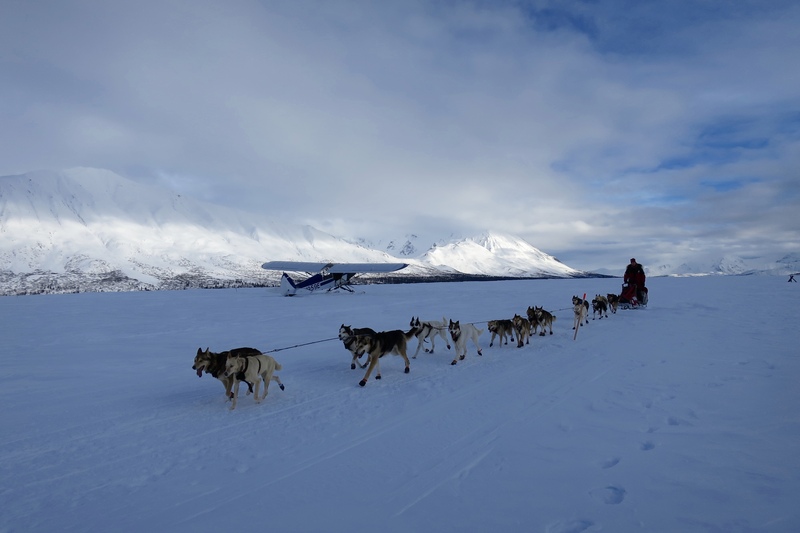 Thankfully we avoided that and headed back to Anchorage and the comfort of our warm beds for the night. 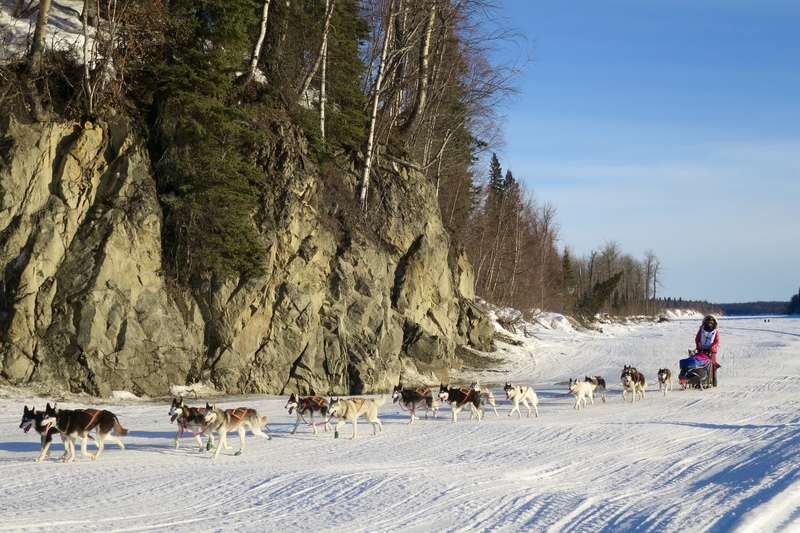 Another fun Iditarod adventure for the books!